Considering myself one of the most fortunate people in the world with one of the best jobs, this March I had another wonderful opportunity to spend two weeks on St. Barths seeing villas, meeting old and new clients, spending time with old and dear friends and cementing our bond with our owners and villa managers to ensure that our clients have experiences to last a lifetime! We divided our time between two villas. First was WV AMI in Lurin overlooking Gustavia Harbor and the town where the daily activity both on and off the water could be viewed. Then we moved to Villa WV MOZ out in Pointe Milou where you have a taste of solitude and the daily activity to watch was whales swimming by. I've had clients tell me that they never go to a particular area of the island and I'm always surprised. 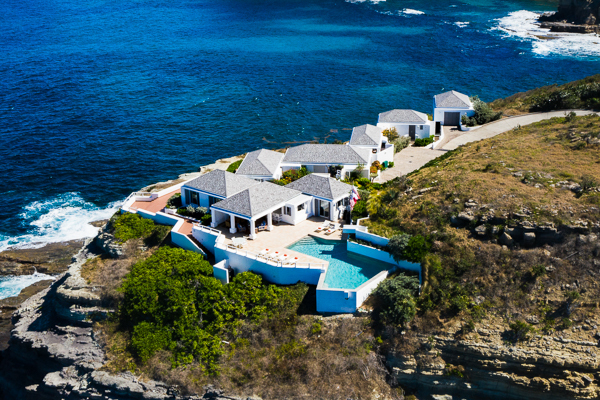 Whether it's St. Jean Hillside, Grand Fond, Colombier or perhaps Mont Jean your villa experience will always be unique in part due to the area you're in. So why not try something different? Being in villa WV AMI, in this area of the island, you naturally gravitate to restaurants and activities in Gustavia. In a matter of just a few minutes you find yourself in town and realize how easy it is - whether it be lunch at Cote Port or perhaps an early breakfast at Bar De L'Oubli. I felt as though I was part of the community. Sunday lunch was spent on the terrace, shared with old friends whiling away the afternoon with lots of chilled rose and ribs and salads from the newest find - Le Boucherie. This store opened last year but I did not have opportunity to go there until one lunchtime when we knew we wanted to be at home but the cupboards were bare. The aromas coming from the parking lot were too enticing not to go and see the bbq chickens and ribs being prepared. Upon entering, we were met by Frank - a charming man who has spent years on St. Barths and around the world. His pride in this establishment is captivating. We had the grand tour and met everyone (including his most recent wife). Keep in mind that the ribs and chicken are prepared both Saturday and Sunday mornings (and if you're concerned that they may sell-out you can order in advance). The prepared foods rival those of the old Rotisserie and he will be expanding his selections over the next several months. Do yourself a favor and make the stop! After the activity and proximity of Gustavia we packed up and make the trek to Pt. Milou and Villa MOZ (Cap au Vent). After the experience of WV AMI and the harbor, moving to WV MOZ was almost like being on a different island. As we drove down the driveway the only sound was the crashing of the waves below and a view that can only be described as awe-inspiring. Being greeted by Amarili (the on-site house manager and so much more) and knowing that we would be coddled for the next week was just wonderful. The breezes and sounds of the waves were a constant reminder that we were indeed on the other side of St. Barths where it is noticeably cooler....and let's face it - very very few insects of any type! The difference between the two experiences was like night and day. For those who want to have the activity of Gustavia at their feet WV AMI is just the perfect villa, while if you are somebody who wants to see nothing but water and only to hear the sounds of the surf you couldn't have a more wonderful experience than WV MOZ. 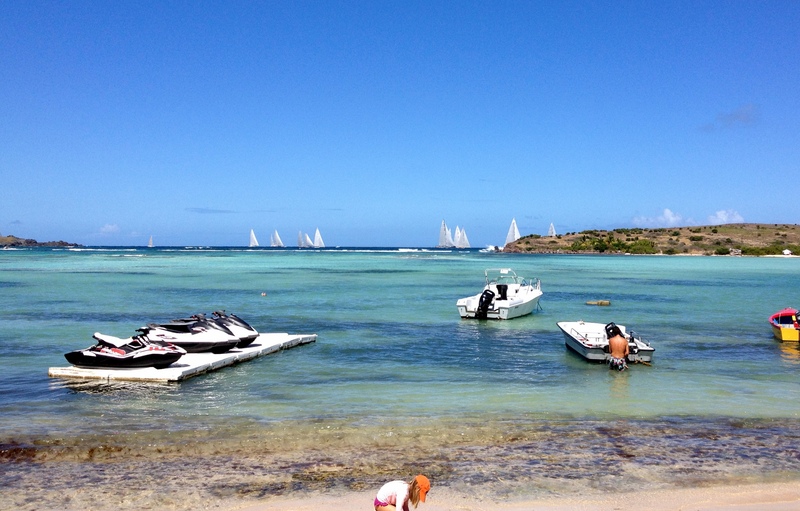 To me this experience of two villas portrays everything that makes St. Barths so very special!